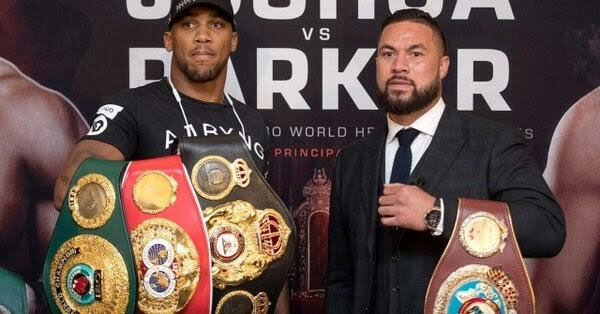 WBO heavyweight champion Joseph Parker 24-0 (18) believes that unified champion Anthony Joshua 20-0 (20) is underestimating him based on his last title defence against Hughie Fury ahead of their highly-anticipated clash at Principality Stadium in Cardiff, Wales, on March 31. Last September the 26-year-old New Zealander travelled to Manchester to make the second defence of his WBO strap against the undefeated Fury. In a lacklustre fight, Parker claimed a 12-round points win by scores of 118-110, 118-110 and 114-114. In Joshua’s last fight in October the big Brit had to overcome a late replacement in Carlos Takam who stepped in at the 11th hour to replace Kubrat Pulev who was forced to withdraw with a shoulder injury. The fight lasted 10 rounds with the 28-year-old titleholder claiming the win by stoppage. Parker says it wasn’t Joshua’s finest performance. The undefeated Parker, who says he will come in lighter for this fight than his last few bouts, expects and explosive contest but see the fight only going one way. “I’m going to be victorious. It’s going to be a great fight. We’re both hungry, we’re both undefeated and we’ve both been training hard but I believe in myself. I believe in my team and what we’ve been working on. I believe I’m going to be victorious March 31,” said Parker.